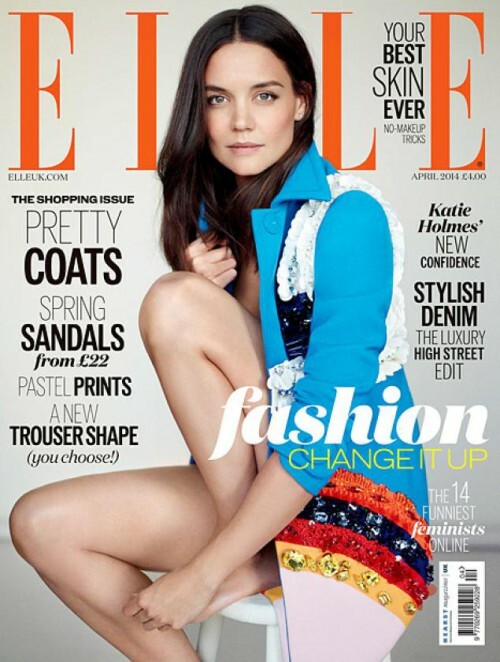 Posing for the April 2014 issue of Elle UK, Katie Holmes opens up about focusing on her acting career and being a mom to her 7-year-old daughter Suri Cruise. The Dawson’s Creek actress admits she ended her fashion label Holmes & Yang, which she started with her longtime stylist and friend Jeanne Yang to concentrate on motherhood and her acting career. News broke this week that Holmes will be returning to TV in the near future. The 35-year-old has been cast in a new, currently untitled ABC pilot from Behind the Candelabra writer Richard LaGravenese. Described as a “high society drama” by Entertainment Weekly, the show will feature Holmes in the role of Ann, “a well-bred and educated woman who runs a philanthropic foundation with her husband.” Another Upper East Side couple, Philip and Margot, make a bet to destroy Ann’s perfect marriage. The ex-wife of Tom Cruise is also set to star in the highly-anticipated film adaptation of The Giver.